I Have A Great Idea. Can I Get A Patent? Is A Patent Right For Me? Do I Need To Perform A Patent Search? Will My Patent Get Me Rich? 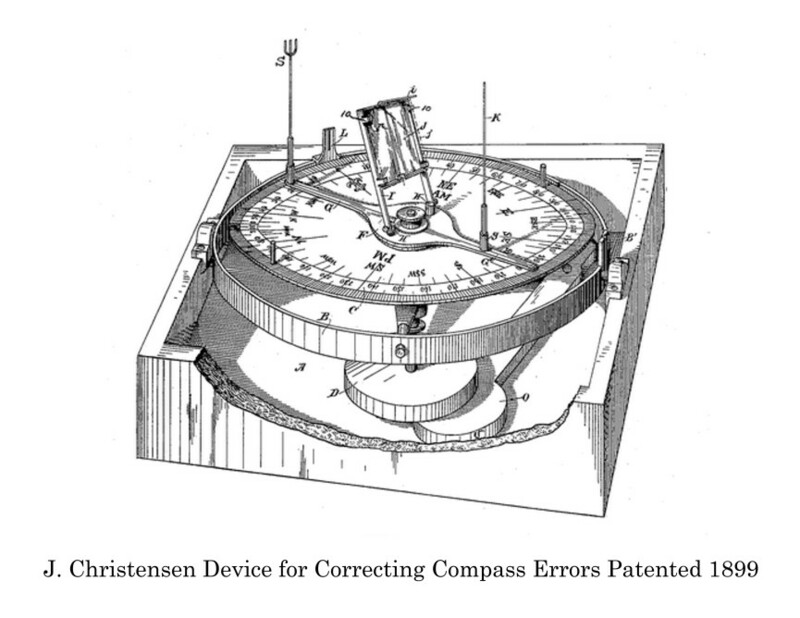 As I have written on earlier occasions, performing a patent search is a great way for inventors to get a feel for what’s out in the world of prior art before navigating the unknown and often perilous waters of the United States patent system. I encourage inventors to perform their own preliminary patent searches, as it is a great way to discover what technologies already exist and it serves as a good introduction to the world of patent law. The purpose of this article to introduce inventors and entrepreneurs to the Lens, and how to find prior art using its search features. The Lens, originally known as the Patent Lens, is the product of over a decade’s work by the Australian based, non-profit organization Cambia. Their mission, according to their website, is to “To democratise innovation by freely sharing the knowledge that has until now been locked inside a massive, fragmented, opaque global patent and innovation system that only multinational companies had the money to navigate.” I have recently been introduced to the term “innovation cartography,” and I am very impressed by this organization’s efforts in making and providing a free and open source platform from which anyone can access the body of knowledge currently encompassed by today’s global patent system. Their ultimate goal is to enable a broader demographic of innovators and problem solvers. Their work has attracted grants from, and collaborations with, well-known institutions such as the Rockefeller Foundation, National ICT Australia, the United States National Institutes of Health, the Lemelson Foundation, the United States Patent and Trademark Office, Qualcomm, as well the Bill and Melinda Gates Foundation. Over the years, the Lens has updated and expanded its search capabilities to include patent and prior art documents from the European Patent Office, United States Patent and Trademark Office, World Intellectual Property Organization, Australian Patent Office and a host of others. The current version has an updated user interface with updated searching features. As a caveat, it should be understood that the current version is still in beta testing mode. Searches can be performed in English, Chinese, Spanish, French and Russian. Beginning a search can be as simple as entering a keyword or set of keywords. From there, the Lens offers searchers a variety of ways to narrow down search results. Advanced boolean functions are available for the site’s structured search capabilities as well. More importantly, the Lens has a support center which provides good instructions and further insights into the site’s functions. Just for a quick and basic example, I entered the term “polymerase chain reaction” in the search box. What turned up in the results was 375,013 patents from all around the world which are ranked by the Lens’ own search algorithm (as of now, the algorithm ranks results by the strongest match to the search parameters entered). Results can then be sorted by parameters such as filing date, publication date and the number of times the patent is cited. More importantly, the results can be refined using a number of unique functions. In order to narrow the results down, I used the “Refine Search” functions on the left sidebar. By selecting the United States in the jurisdictions tab and Kary Mullis under the “Search for an Inventor” field in the Inventors tab, I obtained a good set of patent documents with the particular patent for which I was originally searching. Using the Lens’ simple search feature involves little more than entering a keyword. Using these results, I clicked on “Process For Amplifying Nucleic Acid Sequences” to check what a particular patent document offers a searcher. Conveniently located on the front of the Summary tab, the Abstract and Claims sections are visible. Data for the Owners, Applicants, Inventors and Classifications are available for further inquiry as well. Also included in the tabs are a Full-Text tab, a Citations tab, a Family Info tab, a Legal Info tab and a Notes tab. I found the Citations tab to be particularly useful because a searcher can track down subsequent patents which cite the original document. This particular document is cited in 6246 later patents which, when scrolled down to the bottom of the page, can then be loaded in a new search query which can then be narrowed down to find derivative technologies. The Legal tab reveals significant events such as assignments, maintenance fee payments, and reexamination proceedings. A Sequences tab is also available for biological sequences disclosed within certain patents. The Lens can make the process of narrowing search results much easier than other services. 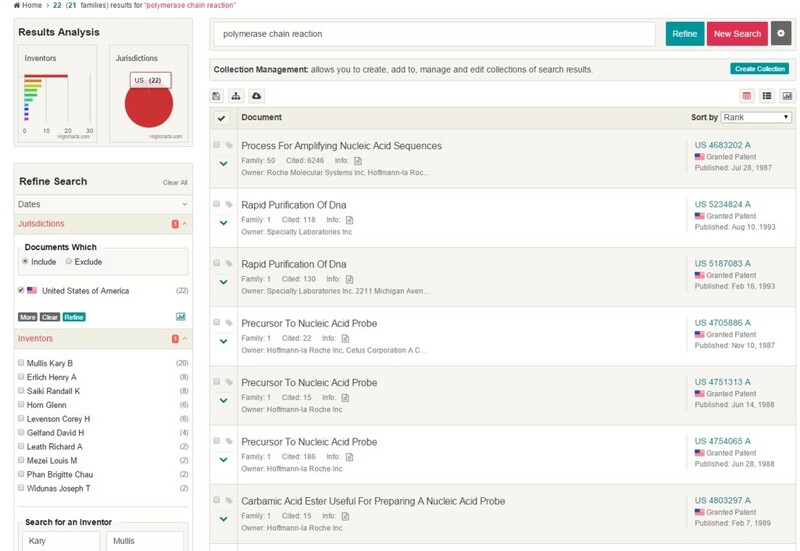 The Lens offers keyword searching of the full text, as well as specific sections of patents and patent applications. One of the most useful features on the Lens is the capability of refining a search. With each set of search results produced, the Lens offers the searcher the ability to filter results down by entering extra keywords or indices. Other ways of narrowing a search are by classification numbers, types of patents, owners or assignees, as well as through cited articles and publications. Using the Structured Search page, users can customize their original search query and narrow results down from there. Tutorials are available for the more advanced search features as well. The Lens provides useful analytical tools such as the ability to create graphs. Like any other patent searching site or method, though, obtaining a good set of results takes time, patience and perseverance. Learning how to perform a patent search from reading a blog article is a lot like learning how to rebuild a automobile engine by reading a do-it-yourself book. Sure, it can be done. But it takes a lot of trial and error to become proficient. Take the time to read through the support center’s help resources and knowledge database. Expect to run into a more than a few dead ends when searching. Expect to perform multiple queries using different keywords. And most importantly, expect to spend numerous hours reading and sifting through your results. 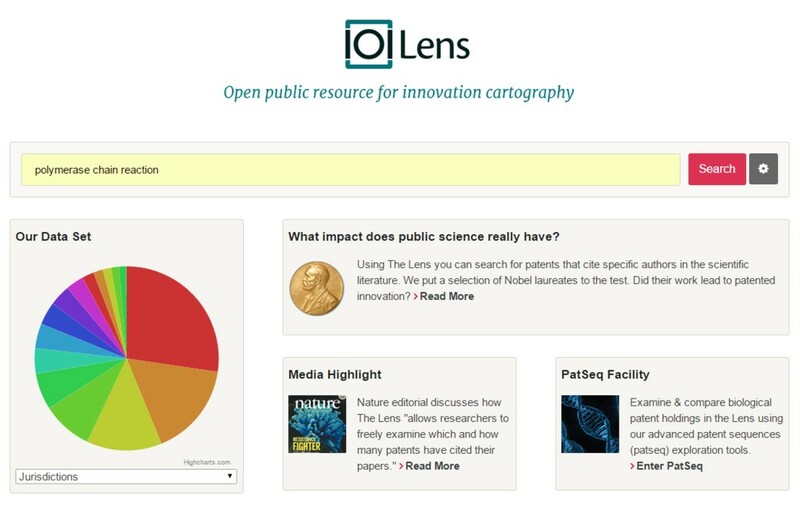 In conclusion, I believe the Lens has the potential to be a top quality global patent searching platform. Even though the latest version is in beta testing as of publication of this article, it manages to produce incredibly useful results. It’s relative ease of use and access to searching tutorials make it a highly valuable resource for the independent inventor or researcher. And while I still recommend that inventors have a professional patent search performed before setting course into unfamiliar waters, obtaining a good set of initial results is quite doable through the use of this service. Take the time to familiarize yourself with this free and powerful search utility. You’ll be glad you did.